The year was 1864. The United States was in the fourth year of the bloody Civil War. Lincoln, like Trump a Republican, was running for reelection. With 11 Southern states in secession, there was growing discontent against the war in the North. Strong pockets of anti-Lincoln sentiments existed in places like New York, then-tiny Los Angeles and my native New Jersey, the only northern state with legal slaves (13, to be exact). The Democratic candidate against Lincoln was one of his generals, George B. McClellan, who actually ran while still in the military. Not unlike conditions today, the political scene was muddled. The Republicans were badly split. One faction, headed by the war criminal John C. Frémont (yes, the fellow for whom glitzy Fremont Street in Las Vegas would be named) wanted an immediate end to slavery and was unhappy with Lincoln’s slower approach. The Democrats were even more split, with War Democrats, Peace Democrats, Moderate Peace Democrats, Peace with Slavery Democrats, and so on. Lincoln already had helped engineer one new state. Some 41 western counties of Virginia split to form the pro-union (and pro-Lincoln) state of West Virginia in 1863. That gave him five more electoral votes. Where else could he look for more? At the outset of the Civil War, thinly populated Nevada split from Utah to become a territory. Its top officials were appointed by Lincoln. They immediately began agitating for statehood, even though the state’s population of maybe 25,000 was way below the 60,000 threshold for statehood set in a 1787 federal law. Still, a territorial constitutional convention was convened. A constitution was drafted. But there were big differences over how mining–with gambling decades off, the state’s only real revenue source–would be taxed. On January 19, 1864, Nevada voters nixed the draft constitution by a lopsided vote of 8,851 to 2,157. No constitution, no state, and thus no three electoral votes for Lincoln. The federal election was just nine months off. Undaunted, the Republicans tried again. In Washington, D.C., the Republican-controlled Congress quickly passed, and Lincoln signed, a bill that would allow statehood for Nevada if the territory adopted a constitution and condemned slavery. 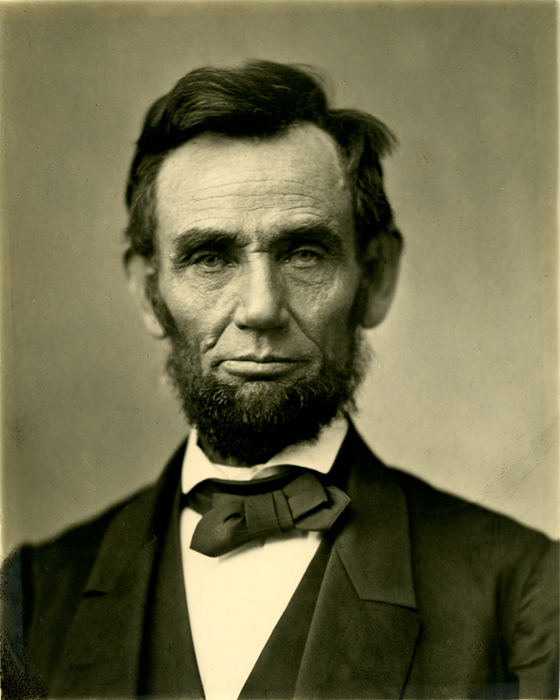 The legislation also allowed Lincoln alone, rather than the deliberative Congress, to declare Nevada a state. Now, that fast-track provision definitely could be called a rigging. Back in Nevada, a second constitutional convention was called by Lincoln’s supporters. A compromise was reached on mining taxation, and a new constitution was drafted. Put to the voters, it passed easily, 10,375 to 1,284. The date was September 7, 1864. The federal election was just 62 days off. Nevada officials immediately sent a copy of the constitution to Lincoln–by U.S. mail. Bad move; the package never showed up. By the time its non-arrival was noticed, it was too late to resend (the transcontinental railroad going through northern Nevada was still five years away from completion). U.S. Secretary of State William H. Seward asked Lincoln to proclaim statehood without the document in hand, but Lincoln–a lawyer–refused. So Nevada Gov. James Warren Ney, in what has been described as the second-longest telegram ever sent, wired the entire document to Lincoln at a cost of $4,300 ($66,000 in today’s dollars). Upon receipt, Lincoln promptly declared Nevada statehood. The date was Halloween–October 31, 1864. The federal election was just eight days off. On November 8, 1864, the part of the U.S. not in rebellion voted for president–including Nevada. Things had started moving in Lincoln’s way, and as it turned out, Lincoln didn’t need the newest state. He received 55% of the national popular vote and overwhelmingly won the electoral vote, 212 to 27. McClellan captured only Kentucky (where Lincoln had been born), Delaware and McClellan’s home state of New Jersey with those 13 slaves. But despite the rigging, Lincoln still didn’t get all of Nevada’s three electoral votes. Due to a snowstorm (Nevada, after all, is the Spanish word for “snow-covered”), one of the electors pledged to Lincoln could not make it to the state capital of Carson City a month later for the formal meeting and voting of Nevada electors. So Lincoln ended up getting two electoral votes, not three. Over time, October 31 became Nevada Day, a state holiday that closes government offices. Since 2000 it has been celebrated on the last Friday of October–this year on October 28–for a nice mid-autumn three-day weekend. In this year’s presidential election, Nevada is considered a lot more closely divided. So Nevada Day might be a good time for Trump to return and continue his barbaric yawp over the roofs of the world (thank you, Walt Whitman) about rigging. At least Trump would have some real history to yell about.